How Long Will The NordicTrack C 990 Last? First off, one of the most important components in your machine's lifespan will be the environment that it is kept it. So, don't treat it like that poor dog locked in the car on a hot day at the grocery store. If you would break the window for the poor dog, then make some space inside for the machine you paid for. Taking simple steps like this will help to ensure the longevity of your investment. With that said, the NordicTrack Commercial 990 is a well-built machine with a good amount of quality built in for the $1,000 dollar price range. If you enjoy light to moderate exercise, you should expect a good amount of years out of this treadmill. With the Commercial 990, NordicTrack has struck a respectable balance between the both substance and style. With a decent warranty, good build, quality parts, and numerous programs, we have awarded the Commercial 990 First Place on our 2019 Best Buy List in the $700 to $999 dollar category. We like that NordicTrack has included 32 on-board workouts, a strong build, 7” Smart HD Touchscreen, and a decent warranty. Though we are cautious about the iFit subscription and the NordicTrack customer service, we are glad to see such a strong contender in this price range. On the outset, we want to start with the features that may seem valuable but are really average features that commonly make up mid-priced treadmills like the C990 treadmill. Take the OneTouch Controls, for example. NordicTrack has taken it upon themselves to rename a button so that it seems more appealing. In the end, the OneTouch Controls simply indicate that the C990’s console has buttons that control its speed and incline. You may also see the phrase Dual CardioGrip which is a decorative way of saying the C900 treadmill has two metal plates on each handle that detect your heart rate. NordicTrack has equipped the C990 with their usual SpaceSaver Design that is now accompanied with an EasyLift Assist. Once again, both the SpaceSaver Design and EasyLift Assist are NordicTrack’s elaborate way of saying that the C990 treadmill folds. The only difference with this model is that the C990 introduces a hydraulic mechanism that brings the walking deck out of folded position without your guidance. While this seems valuable, we do not typically like to dwell on treadmills’ folding features. Often times, the treadmills that have a solid frame (i.e. the non-folding treadmills) are better built and longer lasting. Thus, we do not usually value the folding features, but you may find this EasyLift Assist addition helpful. Lastly, you may also see the FlexSelect Cushioning. This is another NordicTrack embellishment that denotes the presence of shock absorbers. Thus, like most other treadmills in this price range, the NordicTrack C990 has shock absorbers that reduce the feeling of impact. NordicTrack has continued to slightly adjust the amount of technology in their products year in and year out. We are glad to see such an effort when the features are matched with quality. The C990, first off, has the most on-board workouts than all of our other Best Buy treadmills in this price range. You then combine 32 on-board workouts with a 7” Smart HD Touchscreen and you have some pretty valuable technology. Now, we do want to add that the “Smart HD” is a phrase that has more marketing value than actual monetary value. The C990’s screen is not going to be any nicer than, say, your Galaxy or iPhone screen. With that said, it is still pretty remarkable to basically have a tablet built into your C990. Though it is not web-capable (barring the iFit membership) the C990’s console is an additional value. The Commercial 990 also has a respectable build that is built with better-quality components. 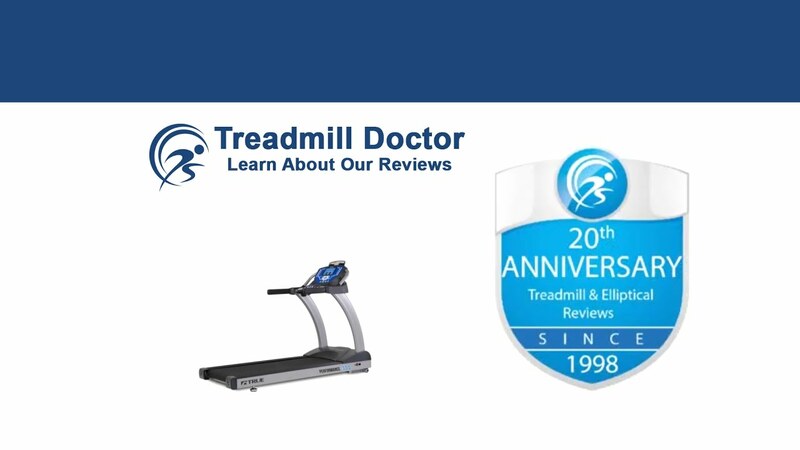 When we see that a treadmill has a 3.0 drive motor capacity and a 300-lb user weight capacity, then we know that the components are a little stronger and more durable. But, you must also take into account the treadmill’s weight. If Proform’s C990 only weighed 190-lbs then you would know that they are full of crap saying that the C990 can support a 300-lb user at a 3mph capacity. But the C990 weighs about 222-lbs. This tells us that the components are a little heavier which typically indicates better quality. Taking all of this into consideration, the C990 is likely to have a relatively durable build. We also like the warranty that NordicTrack has included. While not the best in this price range, the three-year parts, and one-year labor warranty help add an extra value to the Commercial 990. This type of value also indicates that NordicTrack has faith in their own product which extends ease to the consumer. While the increase in technology is a nice addition, we do have a bit of a caution. The Commercial 990 comes with iFit Coach compatibility and includes a one-year free membership. After the first year is up, it will be your choice to pay at least $30 dollars a month. Some exercisers who need a little motivation require loud muscle heads who run around the Eiffel Tower to keep their mind off the sweat dripping into their eyes. If you are one of these users, then you may want to consider the additional costs required to fully utilize this machine. If you are not and have gotten used to the stinging eyes, then maybe you will enjoy a free year and simply use the machine quietly after that. We do not like, however, how NordicTrack is seemingly forcing people to join in on the iFit bandwagon as you almost have to purchase a membership in order to get your money's worth out of this treadmill. Warranty Lifetime frame & motor warranty, a 3-year parts warranty, and a 1-year labor warranty. NordicTrack has created a balance between style and substance in their Nordictrack c990. They have included a good amount of programming while also paying attention to the build and quality that they built into this machine. While we are a bit wary of the iFit membership marketing, we do find this to be a good machine for light to moderate users. The First Place Winner on the 2019 Best Buy list for the $700 to $999 dollar category is likely to be a quality machine for the price. NordicTrack has created a balance between style and substance in their Commercial 990. They have included a good amount of programming while also paying attention to the build and quality that they built into this machine. While we are a bit wary of the iFit membership marketing, we do find this to be a good machine for light to moderate users. The First Place Winner on the 2019 Best Buy list for the $700 to $999 dollar category is likely to be a quality machine for the price.